Our First CT Trails Day Event! 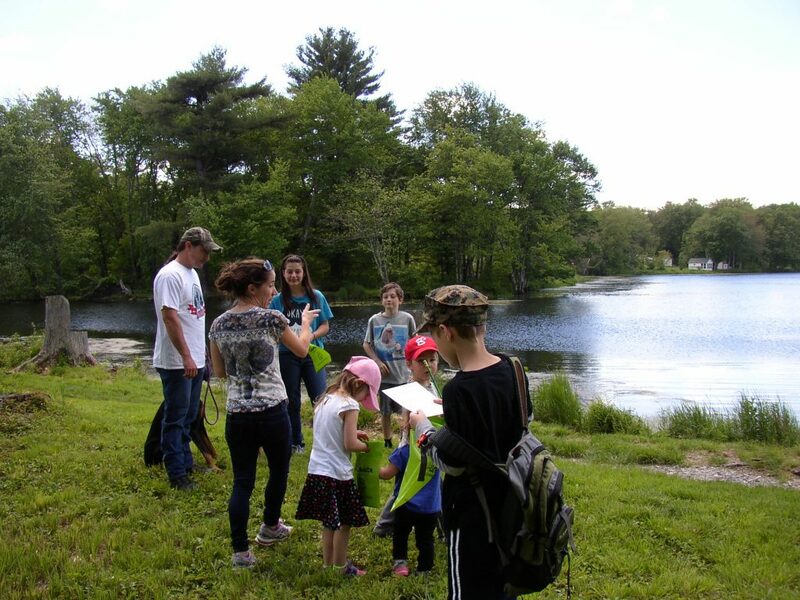 As part of the National Trails Day® celebration on June 3, 2017, the Harwinton Land Trust held a nature walk at our Bull Pond Preserve. The CT Park and Forest Association does an outstanding job of coordinating CT Trails Days. 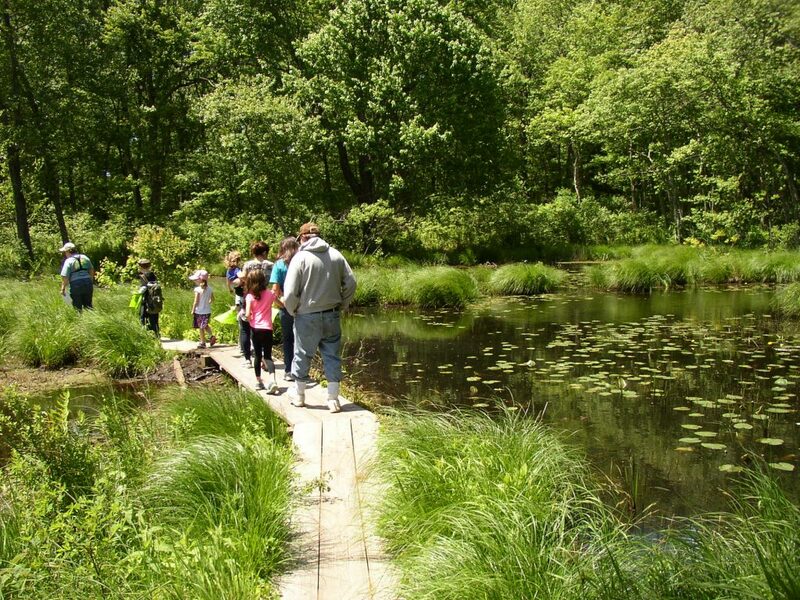 There were over 230 events sponsored by conservation groups throughout the state. Despite the small size of Connecticut, we hosted the largest number of events of any state in the USA! 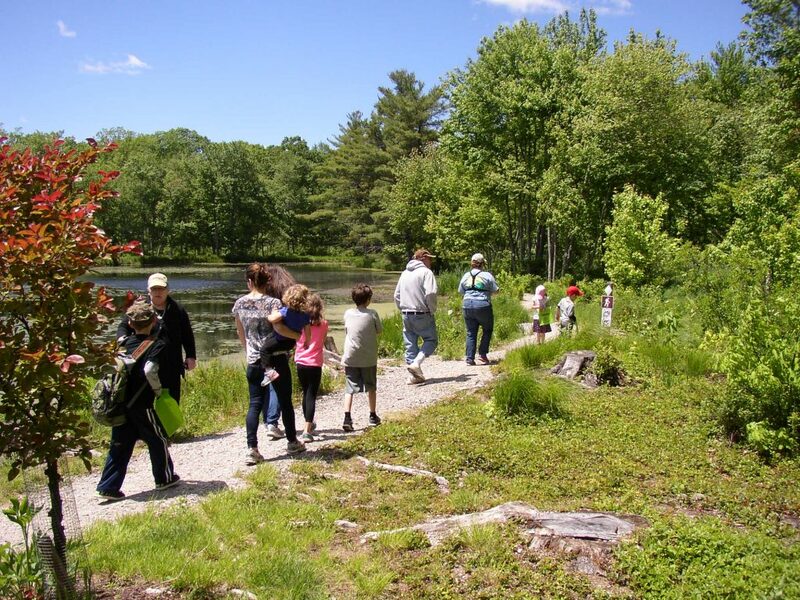 Our nature walk at Bull Pond was tailored for families with children and featured demonstration areas designed to pique their interest in the outdoors. The weather for the event turned out to be perfect after a forecast that kept us guessing all through the week. Would it rain or not? Luckily, it didn’t rain, and from what we saw, the kids and their parents had a great time out on the trail! Families gather before hitting the trails. Kids were given scavenger-hunt-like check lists of cool things to find along the trail! 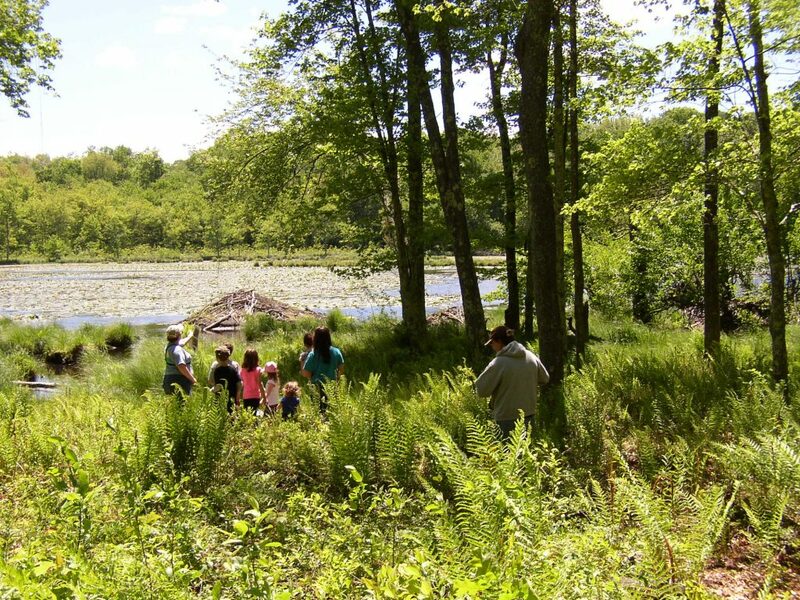 Land Trust members were available to explain the area’s natural features to families. Families head out to the trails! What will they see? Crossing the boardwalk is always fun. What have the beavers been up to? Further along the trail, we have an out branching trail that leads to great views of beaver lodges! 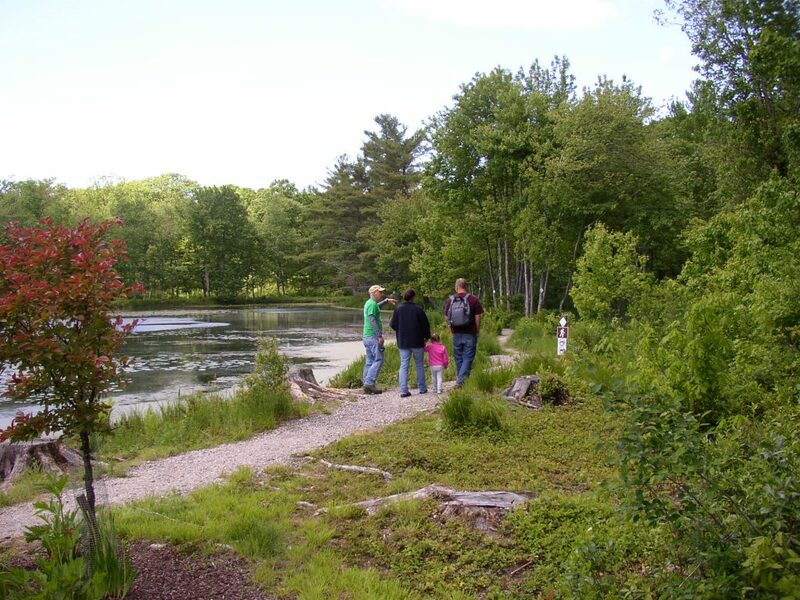 If you missed our CT Trails Day event on June 3, don’t worry – we are always ready to receive visitors. Trails are well marked and easy to follow, and we have trail maps online and in our kiosk at the trail head. Happy hiking!